The National Express Group subsidiary was judged on customer nominations, performance data and detailed scrutiny by the independent judging panel. 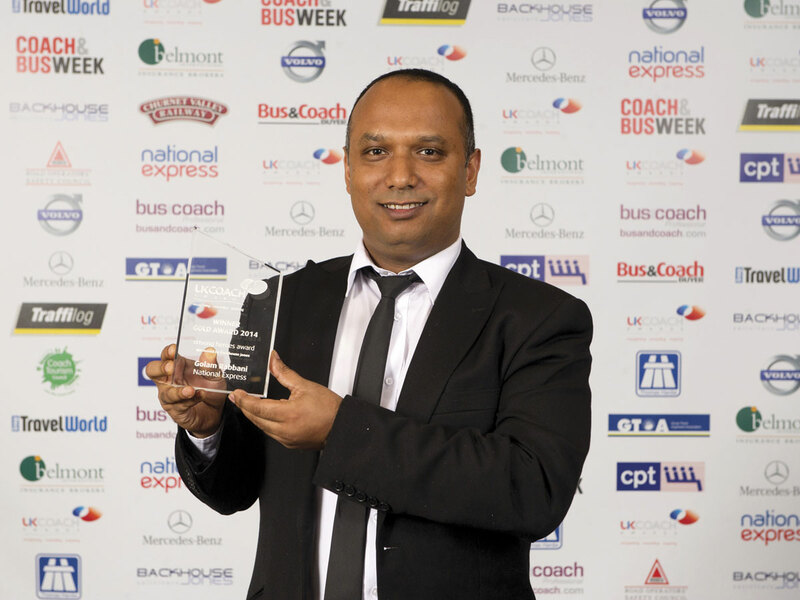 With their partners at uTrack Software Solutions, The Kings Ferry also won the Bus & Coach Buyer sponsored Technology & Innovation Award for their dynamic Real Time Information system. It proved so difficult to differentiate the different attributes called for by the award criteria that two first prizes were awarded, the other going to Stagecoach Group for its megabusGold.com Anglo-Scottish sleeper coach concept. 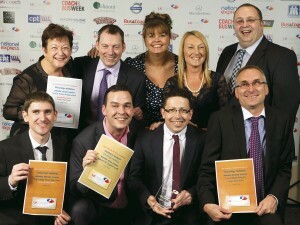 The Bronze Award went to Gauntlet Group for its Embracing Technology for Operators scheme. 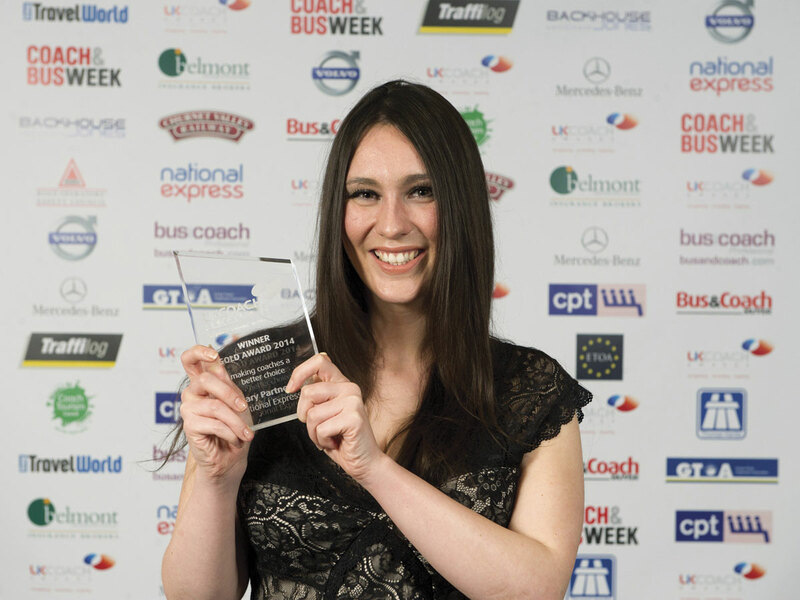 Over 50 individuals, companies and organisations across the UK coach industry were recognised and rewarded for their excellence and good practice at the annual event, which was being held for the sixth year. 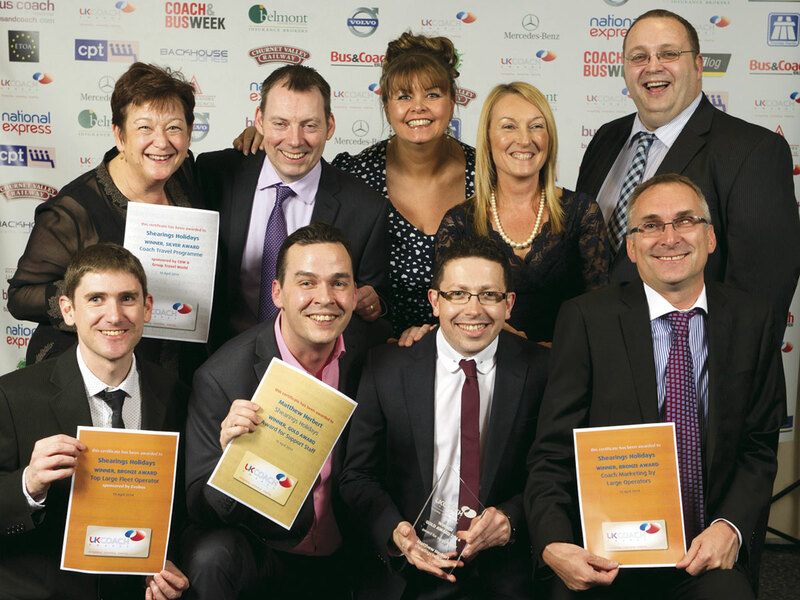 This year’s ceremony took place independently at Manchester’s Mercure Piccadilly Hotel, after last year joining forces with the UK Coach Rally at Alton Towers. 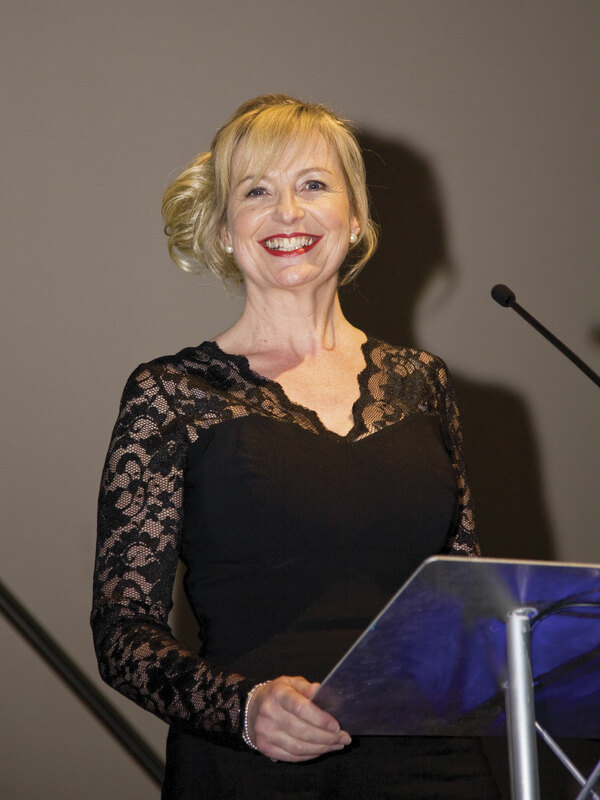 The evening was compered by BBC Breakfast’s ever bubbly Carol Kirkwood and the awards themselves were presented by Chris Owens, President of the CPT. It was attended by over 210 key players from coach operations around the country. While The Kings Ferry took the Gold award in the Top Large Fleet Operator category, sponsored by EvoBus, the Silver went to National Express (parent company of The Kings Ferry), with the Bronze going to Shearings Holidays. Reays Coaches was highly commended. 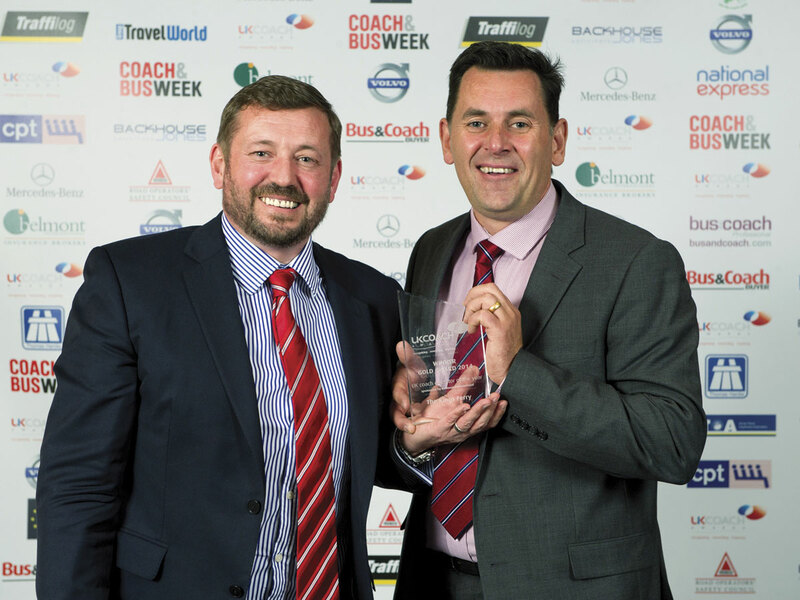 For the third year in a row, the Gold Award for the Top Medium Fleet Operator, sponsored by Volvo and Thomas Hardie Commercials, went to Excelsior Coaches of Bournemouth. Maynes Coaches (Maynes of Buckie) took the Silver, whilst Johnsons Coach & Bus Travel took the Bronze. Highly commended were Anthony’s Travel and DJ Coaches. Woods Travel won the Top Small Fleet Operator award, repeating last year’s achievement, with Tynedale Group Travel receiving the Silver and the Bronze going to G-Line Holidays. 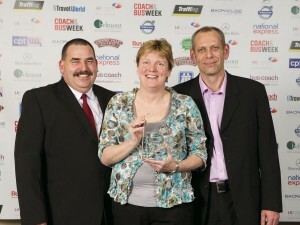 Highly commended were Jay & Kay Coach Tours and Lawton’s Executive Coaches. 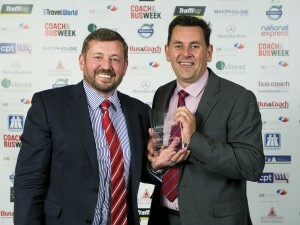 Andy Daw of Johnsons Coaches won the Top UK Coach Driver award, sponsored by Traffilog, with Michael Sinclair of Reays Coaches Ltd taking the Silver and Paul Smythe from Woods Travel taking the Bronze. Highly commended were James Dearden of Anthony’s Travel and Lawton’s Executive Coaches’ Geoff Singer. The Award for Support Staff went to Matthew Herbert of Shearings Holidays and the Silver went to Excelsior Coaches’ David Bennallack. 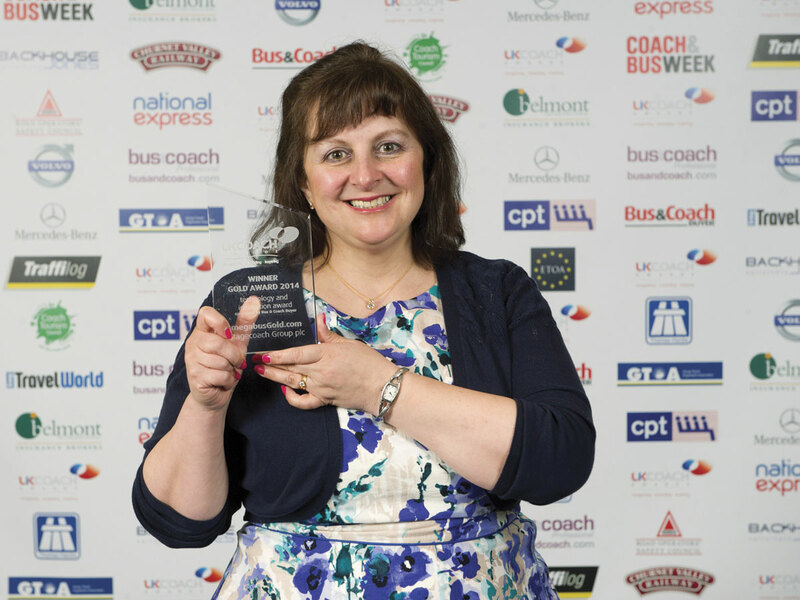 Denise Fry of Woods Travel took the Gold in the Award for Customer Service, whilst Lisa Popely from Jay & Kay Coach Tours won the Silver. This year’s Unsung Heroes Award, sponsored by Backhouse Jones, went to National Express employee, Golam Rabbani. Receiving UK Coach Awards Special Commendations for Outstanding Service were Lewis Jacklin of Johnsons Coaches and Paul Turner from National Express. 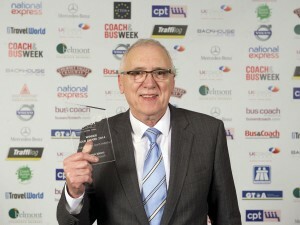 After 33 years in the industry, Richard Ball from National Express was named the IRTE Engineer of the Year. In his current job, he has been responsible for major developments and innovation in coach design and operation. The Services to the Coach Industry award was won by Selwyn Jones of Selwyns Travel while The Young Coach Industry Professional was named as Paul Godwin of Travel de Courcey. Greys of Ely for its Viral Social Media scheme. The Bronze Award went to Anthony’s Travel for its Promotion and Brand Awareness. 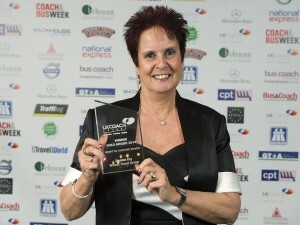 In the Technical and Professional Awards section, the award for the best Coach Travel Programme went to Johnsons Coach Travel. The Silver in this category was won by Shearings Holidays for its Grand Tourer programme and the Bronze went to Edwards Coach Holidays. The Judges Special Commendation in this category was NMC Tours Ltd (Gardiners NMC). 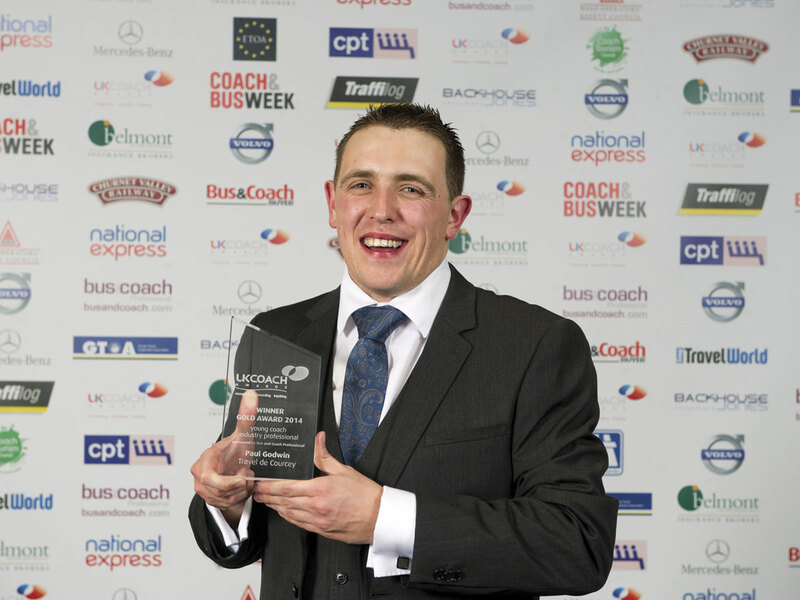 National Express’s Military Partnership won it the Making Coaches a Better Choice award. The Silver in this category went to uTrack & The Kings Ferry for their Dynamic RTI scheme, whilst Birmingham City Council’s Birmingham Christmas Markets won the Bronze. The ROSCO Award for Innovation in Road Safety was won by Anthony’s Travel. Highly Commended in this category was Hunts Coaches. It should also be mentioned that the transport industry’s favourite charity, Transaid, benefited to the tune of £1,383.10 from the Prize Draw, with prizes including an iPad mini donated by Backhouse Jones, a round of golf for four donated by the Vale Golf & Country Club and two vouchers for a steam railway dining experience on the Churnet Valley Railway.